Maleek Washington was born in the Bronx, New York, and at seven years old was introduced to dance at Broadway Dance Center and the Harlem School of the Arts. After attending Laguradia HighSchool for Performing Arts, Maleek continued his education at The Boston Conservatory while dancing for CommonWeallth Ballet. 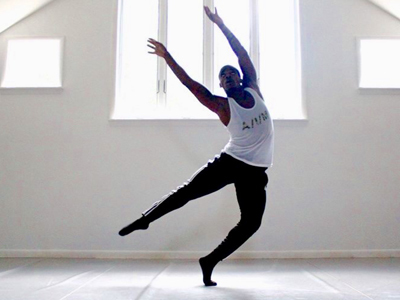 After college Maleek joined CityDance Ensemble. A company that performed works by Paul Taylor, Kate Weare, and Alex Noreal to over 8 countries. During his time with Citydance Maleek attended SpringBoard Danse in Montreal where he was able to join Jose Novas's Company Flak for a 2 seasons of European tours. Currently Maleek is in his Third season collaborating with McArthur Genius awardee Kyle Abraham, and his company Abraham in Motion. While dance at the Mckittrick in the off Broadway show "Sleep No More".